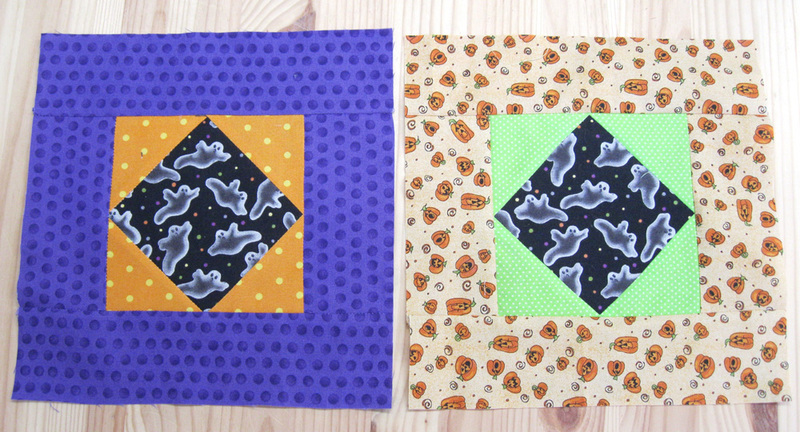 I was able to find a couple little scraps of Halloween fabric, but I have no idea where they came from, LOL! So here are my two blocks for donation this month. The colors are more saturated than they appear in this picture.